Sometimes a Central Air Conditioner just isn’t feasible for your needs. 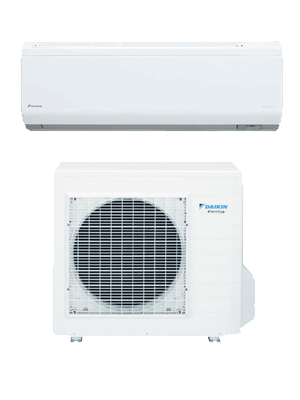 If your looking to cool a specific room in your home or business then a Ductless system is a smart, energy efficient way to do that. CK Mechanical specializes in these type of systems. 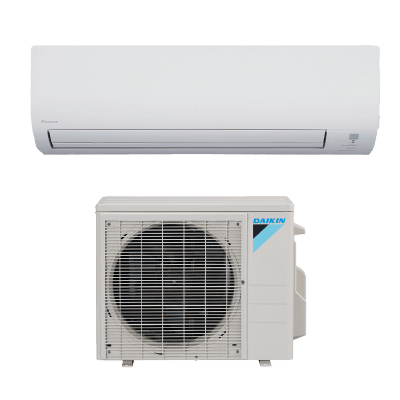 Read below to find out more about the great models of ductless AC systems we carry from Daikin and American Standard, To learn more about ductless air conditioning systems in Windsor-Essex from CK Mechanical, contact us today. Offers efficiency up to 27.00 SEER. High wall mounted indoor heating and cooling ductless split system. Specially designed air vents efficiently reduce operation noise to provide quiet comfort. Turbo function provides temporary high-speed operation to reach your desired temperature quickly. Sleep function automatically adjusts temperature based on set sleeping time to maintain comfort in the room, saving energy. Auto clean function runs the fan when the unit is stopped to prevent bacteria from forming. The unique catechin filter made from natural green tea provides long-lasting sterilization and removes up to 95% of potentially harmful bacteria. Timer allows you to set when and how the ductless mini-split air conditioner operates. 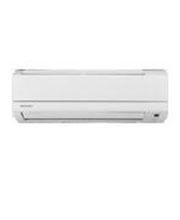 Control your ductless mini-split heat pump from anywhere in the room with a wireless remote control (purchased separately). The “I feel” function senses temperature at the remote control instead of at the thermostat. In case of power loss, the system’s memory function will restart the previous operation mode without the need to reset the system. 5-year limited warranty on compressor and functional parts. Offers efficiency up to 22.00 SEER. Up to 100% Heating Capacity at 5°F (-15°C) and operate efficiently as low as -13°F ambient temperature. Up to 100% Cooling Capacity at 104°F (40°C). Offers efficiency up to 16.00 SEER. High wall mounted indoor cooling unit. 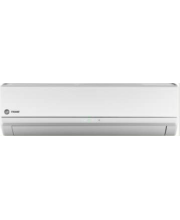 This ductless HVAC system is specially designed with air vents to efficiently reduce operation noise and provide quiet comfort. Sleep function automatically adjusts temperature based on your set sleeping time to maintain comfort in the room, saving energy. Auto clean function runs the fan when the ductless heating and cooling system is stopped to prevent bacteria from forming. The unique catechin filter made from natural green tea provides long-lasting sterilization and removes up to 95 percent of potentially harmful bacteria. 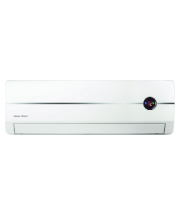 Timer allows you to set when and how thi ductless heating and air conditioning unit operates. Control your system from anywhere in the room with a wireless remote control (purchased separately). The “I feel” function senses temperature at the remote control instead of at the thermostat.